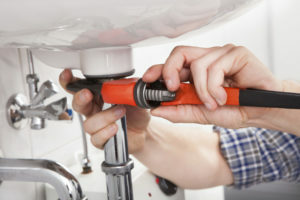 Make sure you avoid these common plumbing mistakes. Whether you own your home or rent, having a plumbing mishap can leave you inconvenienced or worse. Along with the annoyance of sinks, showers, and toilets not working correctly, plumbing issues can lead to damaged property, mold and mildew growth, and long term damage to your home or rental. You can’t prepare for every plumbing issue – but there are some steps you can take to avoid basic mistakes. Today we’ll walk you through three easy ways to reduce your chances of disaster. Drain cleaner can be a big help when your drain needs help removing build up, but too much or use in the wrong place can lead to severe damage. If used too frequently, the harsh chemicals in drain cleaner can eat away at the pipes themselves. Additionally, different types of drains require different types of drain cleaner. Toilets and washing machine pipe drains, for instance, can be damaged by the drain cleaner made for sinks. If you are to find a leak the very first thing you should do, no matter the size is turn off the water supply. Not only will this ensure that you take the time to fix the problem, but it can save you from significant damage should the leak suddenly worsen. From children to misconceptions about drains, there are many ways that unwanted and unexpected items can end up causing damage. Large items that fall into the toilet may make it into the back of the pipe and out of sight, but often they will not be flushable and will need to be removed manually. Along with ensuring your toilet is free of clogs, it’s important to remember that there are many things that should not be washed down the sink drain including oil, grease, hair, coffee grounds, eggshells, produce waste, and even flushable wipes and cat litter. In general, even if an item says it is flushable unless it is toilet paper, it is false advertising. These items may seem harmless, but they can cause severe damage to your plumbing system over time. Remodeling Questions? Call Mahon Plumbing Today! If you still have questions regarding your home remodel and what that means for you plumbing situation, Mahon Plumbing is here to help you out. We have been serving the Baltimore area and beyond since 1994. We have the experience in our trained professionals to compliment our spectacular service. Feel free to give us a call at our Baltimore location at 410-766-8566 or our Pasadena location at 410-636-7944. For tips, tricks, and to see what we have been working on, please do not hesitate to follow us on Facebook or Twitter. This entry was posted on Friday, April 12th, 2019 at 1:53 pm. Both comments and pings are currently closed.